From Marc Guggenheim (Arrow, Legends of Tomorrow) and Jerry Bingham (Batman: Son of the Demon) comes Batman's first encounter with the Justice League of America and Bruce Wayne's first super-powered team in Batman: Super Powers! A young Batman stalks the streets of Gotham! When a woman dies in his arms, he won't rest until he finds those responsible. Tracing the case back to an early Justice League of America mission, Batman learns that there are some evils in this world a single person can't overcome. Triggering memories of a time not so long ago, Bruce Wayne relives the early globetrotting adventures that set him on the path to becoming the Dark Knight! 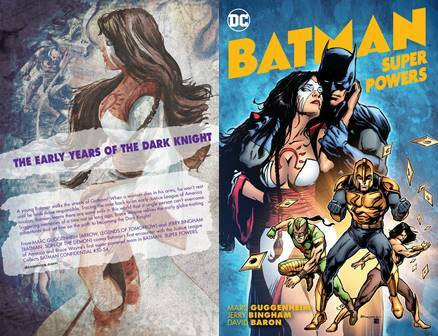 Collects Batman Confidential (2006-2011) #50-54. 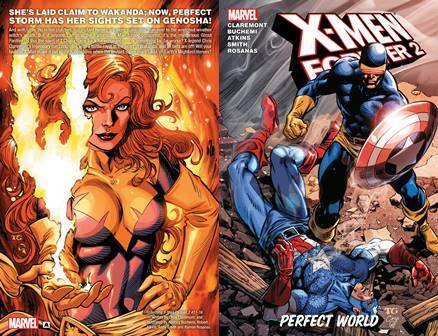 Collects X-Men Forever 2 (2010-2011) #11-16. She's lain claim to Wakanda; now, Perfect Storm has her sights set on Genosha! And with Little 'Ro in her clutches, our mutant heroes are more vulnerable than ever to the wretched weather witch's wrath. But if anyone can stop the traitorous X-Man-turned-conqueror, it's the mysterious Ghost Panther! Is this the spirit of T'Challa come back for vengeance - or something far, far worse? X-legend Chris Claremont's legendary run concludes with a battle royal in the heart of Wakanda, and all bets are off! Will your favorite X-Man make it out of the rubble alive when the mutant super-team takes on Earth's Mightiest Heroes? Collects X-Men Forever 2 (2010-2011) #6-10. 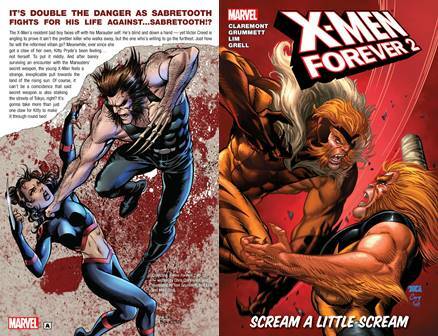 It's double the danger as Sabretooth fights for his life against...Sabretooth!? The X-Men's resident bad boy faces off with his Marauder self. He's blind and down a hand - yet Victor Creed is angling to prove it ain't the prettier killer who walks away, but the one who's willing to go the farthest. Just how far will the reformed villain go? Meanwhile, ever since she got a claw of her own, Kitty Pryde's been feeling...not herself. To put it mildly. And after barely surviving an encounter with the Marauders' secret weapon, the young X-Man feels a strange, inexplicable pull towards the land of the rising sun. Of course, it can't be a coincidence that said secret weapon is also stalking the streets of Tokyo, right? It's gonna take more than just one claw for Kitty to make it through round two! 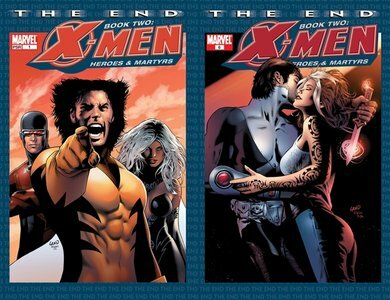 Collects X-Men Forever 2 (2010-2011) #1-5. 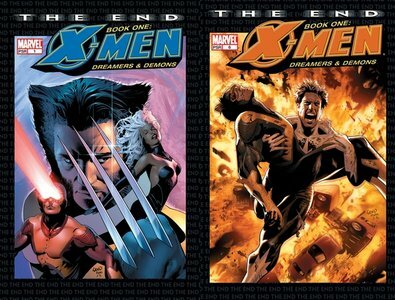 With the drastic events from the end of the previous volume, the X-Men are shaken to their very core. As they start to pick up the pieces, they are confronted by a new enemy, more powerful than any other they've ever faced. English translation of the Japanese manga, Konna Joushi ni Okomari Deshitara (こんな上司にお困りでしたら). 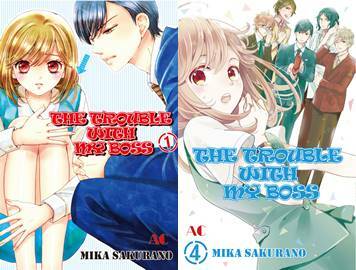 The only one who knows the secret about my boss, an overly talented sadist by the name of Saeki-san...is me. But why is this successful, hardworking boss of mine so preverted?! The new sensational work love story!! 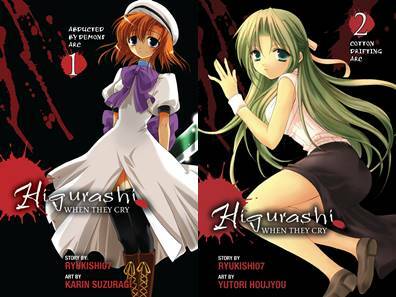 English translation of the various Japanese manga Higurashi no Naku Koro ni volumes. The Endgame of the last tale of Marvel's most popular mutants begins! They've suffered through sneak attacks, betrayals, and fatalities - now, Professor X and Magneto are taking the fight back to the enemy, amidst the stars! The Xavier Academy has been reduced to a smoldering crater in a brutal sneak attack, and the casualties number in the hundreds. Now, Cyclops must mobilize the survivors to get to the bottom of who is behind these coordinated strikes on mutantkind! 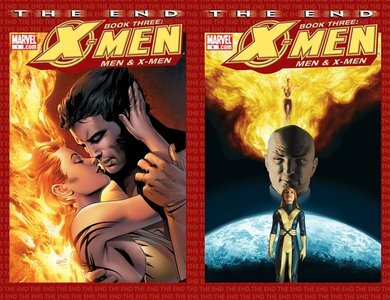 It's the beginning of the end for the Children of the Atom in an epic tale that spans the length and breadth of the X-Men canon and brings the saga of Marvel's mutants to a climax! 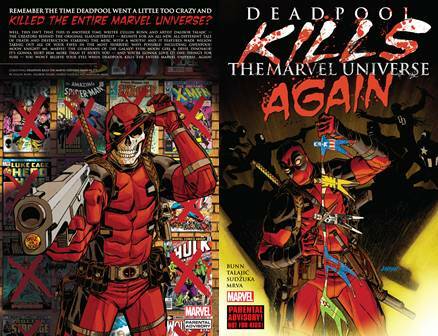 Collecting Deadpool Kills the Marvel Universe Again #1-5. 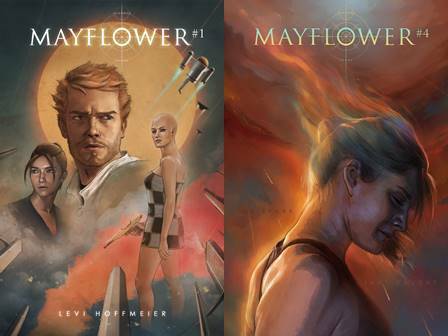 The writer and artist of the original slaughterfest reunite! Prepare for an all-new, all-different tale of death and destruction starring the Merc With A Mouth! 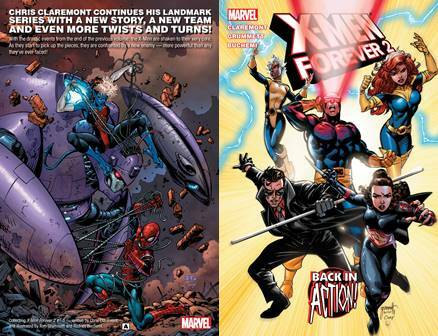 You won't believe your eyes when Deadpool kills the entire Marvel Universe...again! Bluewater celebrates the lives of the icons and activists, performers and pundits who have made a difference in the LGBTQ community. 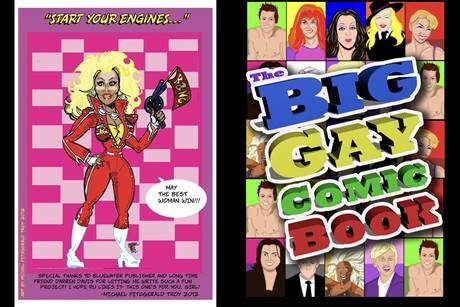 Celebrate with us in this graphic novel featuring the stories behind the musicians Cher, Madonna, and Kylie Minogue, television personalities Tom Daley, Kathy Griffin, Anderson Cooper, and Rosie O'Donnell, and the effervescent RuPaul. A special edition in collaboration with the popular LGBTQ website Lez Get Real.